EDWARDIAN CHRISTMAS TEA - Tuesday, December 20, 3:30 p.m.
Rita Parisi has been entertaining audiences for over 19 years in the New England area. In 2002, she founded Waterfall Productions to create shows that highlight her passion for theatre as well as history, literature and costuming. She has had the pleasure of performing these shows all over New England, New York, New Jersey and Florida. Rita is also actively involved in the independent film scene in Boston and some of her films have been debuted at the Boston International Film Festival and Cannes film Festival. She is a member of the largest acting union in the country SAG/AFTRA formerly the Screen Actors Guild and American Federation of Television and Radio Artists. 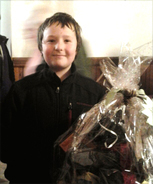 Our 2nd annual Soup's On was a great success! Thank You for supporting us. 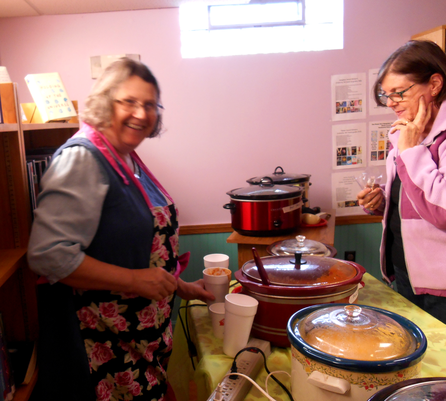 The Friends of Northwood Library hosted the 2nd annual "Soup's On" with a choice of homemade warm, tasty soups, breads, dessert and a wee bit of fiddle music provided by Steve Schose. Steve is a Northwood resident from the Gulf Road area. A big Thank You goes to our sign-maker for the great signs, Maxine Paine-Fowler. The Friends had a great time and we're looking forward to doing it again next year. Acclaimed local authors James Patrick Kelly (Nottingham) and Rebecca Rule (Northwood) led an informal gathering to gain additional writing inspiration! The group discussed what they are working on, what they are reading, where you can submit your work, and talked about writing inspiration! 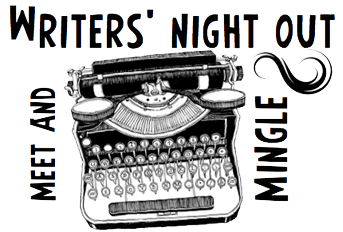 Writers’ Night Out is co-sponsored by the Chesley Memorial Library and the Blaisdell Memorial Library. - What should I do with my old prescriptions medicines? - I take vitamins, can they interact with my meds? - Are there meds that should not be taken together? - When should Probiotics be taken, with food or not? 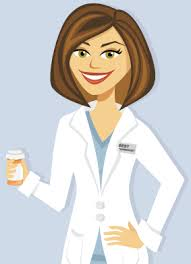 - How long can I keep an antibiotic if I don't use it all up? We got answers to questions like these and more...if you have a question call the pharmicist, you will get a valid answer from your local Hannaford pharmacy team! Humor & Harmony came back with a bang! 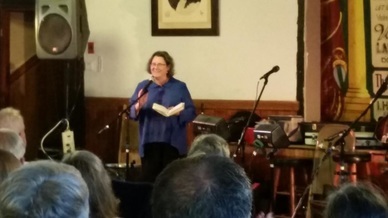 The Chesley Memorial Library and the Friends of the Northwood Libraries hosted "Humor & Harmony” featuring Rebecca Rule and Cordwood. Rebecca was in rare form, she told stories of days gone by adding in a lot of new home grown stories from a few of our local folk. Cordwood played excellent blue grass music and has a new member "Wolfie" who makes a washboard sing! Rebecca Rule is a humorist/writer who specializes in funny stories about New Hampshire. Rebecca Rule gathers and tells stories and she'll be telling some of her funniest ones for Humor and Harmony. Cordwood: This is not your local neighborhood hobby band. They are a fine group of seasoned New England musicians. Each can hold his or her own at field picking or a back stage jam, and yet, as a band, they present a highly polished on-stage performance. All five members of Cordwood are storytellers and songwriters, creating original material for instrumentalists who can sing and harmonize, sometimes taking the lead vocal, other times hanging back and lending two, three, or even four part harmonies to a song. Cordwood provides a unique sound to both originals and the covers they perform. Acclaimed local authors Rebecca Rule (from Northwood) and James Patrick Kelly (from Nottingham) hosted an informal gathering of writers that included fledgling writers (just getting started) to seasoned writers. Their dialogue ranged from how to's, experiences, making connections, resources and what's being worked on, what's being read, and where works are being submitted. The NH Writer's Project is the place to find many of these resources. It was a lively and extremely interesting hour and a half. If you get the chance to attend a Writer's Night Out - try to attend, it's well worth your time especially if you are dreaming of becoming or are an active writer. The program was co-sponsored by the Chesley Memorial Library and the Blaisdell Memorial Library. The Social Black Bear - presented by Ben Kilham drew a packed house! Ben's unquestionable love and passion for his friends "the Black Bears" was evident in every word he spoke. Most of his adult life has been spent with them. He has learned about bear culture, from their birth to end of life and shared his insights with us. How they communicate, choose mates and how females establish their territory. He spoke of how they establish a matriarchal hierarchy and how males are more nomadic.We learned that each bear has to double its weight by winter to prepare for hibernation. That their focus is food, food, food like loads of ant nests, bugs, bulbs like "jack in the pulpits" and most of all not people. So if you have food in compost piles, bird feeders (black oiled seeds) or garbage outside that bear nose will find it if they're hunting for a meal. "True stories, told live. 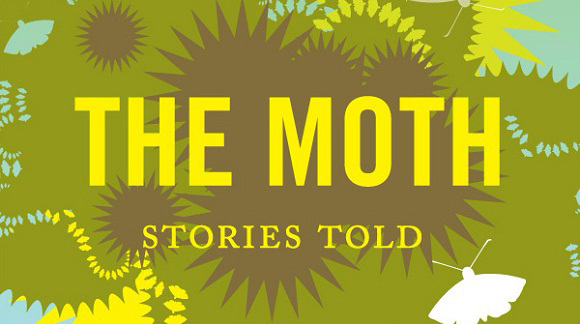 The Moth is a podcast that brings people together to tell different stories from their lives, all around a common theme. They can be funny, sad, heartwarming, or anywhere in between. For Coe-Brown senior Meredith Roman's senior project, she will be holding a Moth-based storytelling night with the theme of "Love." The event will be held on Thursday, February 11 from 5:00 to 7:00 pm. Donations will be accepted to help support The Moth podcast, and everyone is welcome to come watch, listen, and tell stories. If you would like to tell a story, please contact Meredith at meredith.l.roman@gmail.com. Hope to see you there!"